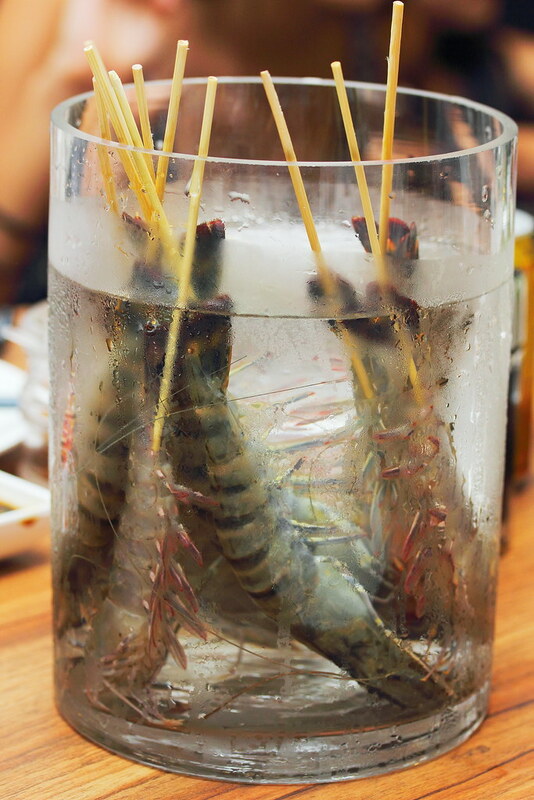 Singaporean loves eating seafood and steamboat. What if we bring the two of them together? 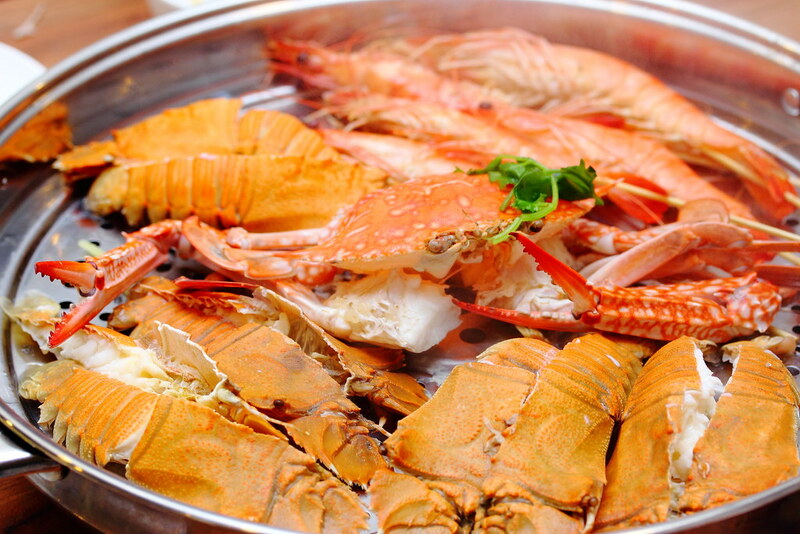 Maybe Rong Fu Ji Seafood Steam Pot (荣福季) at The Grandstand is the perfect answer to it. 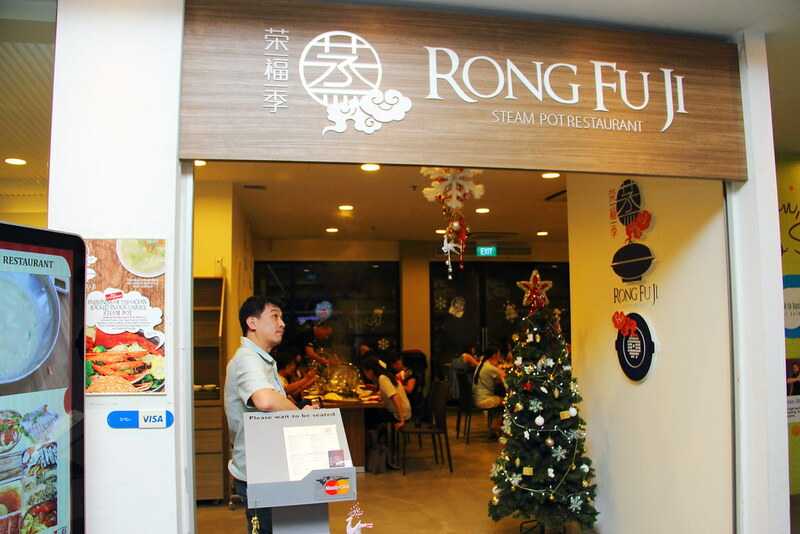 Having tried a similar concept in Hong Kong using the steam from the pot to cook the fresh seafood, a group of friend gathered together and opened the very first Seafood Steam Pot concept in Singapore. I was told the restaurant that does the same steam pot concept in Hong Kong has a wait list up to 6 weeks. I am glad that when I went there to celebrate my father-in-law's birthday, there was not a crowd as the restaurant is still in their soft launch phrase. 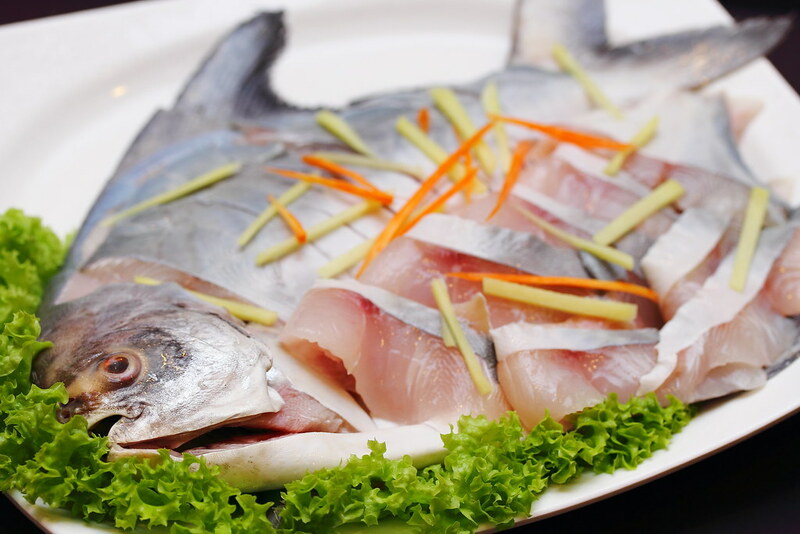 ($188) which comes with an abundance of seafood. 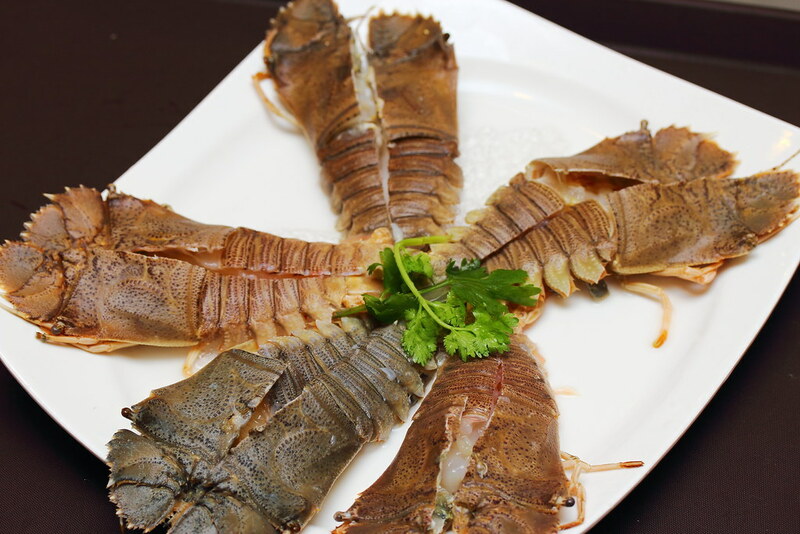 There are Flower Crab, Scallop, Oyster, Bamboo Clam, Crayfish, Promfret and Tiger Prawn. That is really a lot of seafood on the table. Don't worry the set does not just consist of seafood only. 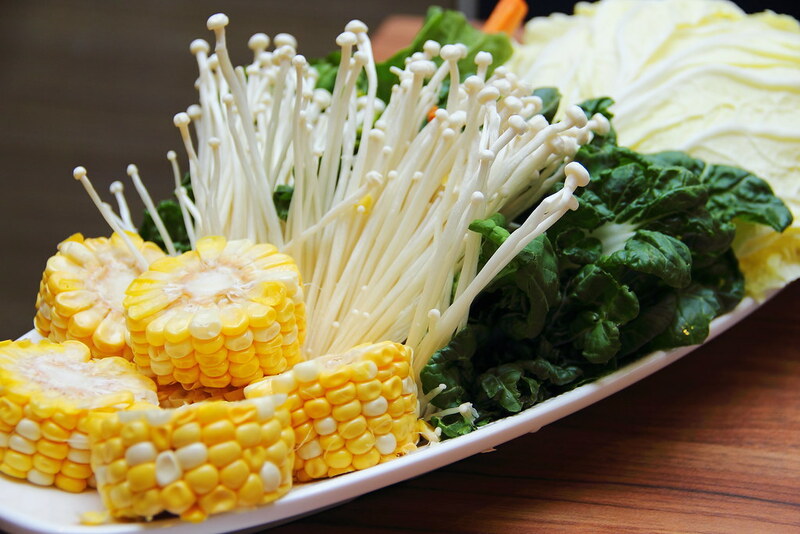 The set menu comes with a Vegetable Platter that has Nai Bai Cabbage, Cabbage, Enokitake Mushroom and Sweet Corns. There is also a choice of meat in the set menu. It comes with the choice of Beef Striploin or Special Black Pork Belly Slice. 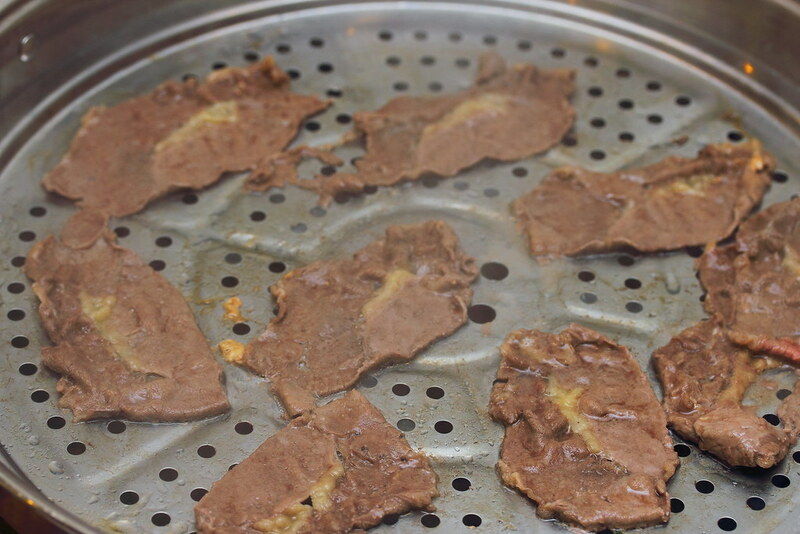 There is no marination, preservative or artificial seasoning involved. 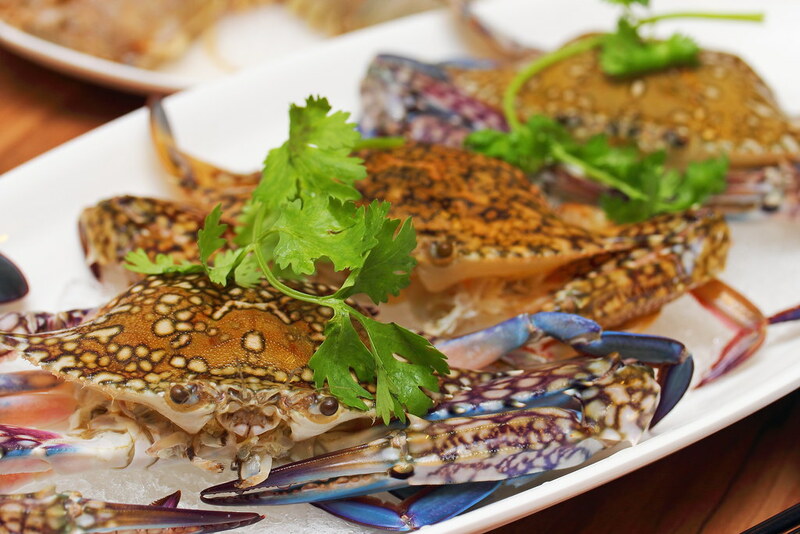 Basically steamed the fresh seafood accordingly to the advised timing, usually around 3 to 5 minutes subject to the various ingredients. If you noticed the holes in the steam pot, this is to collect the essence of the ingredients as it drips down to the bottom of the pot. 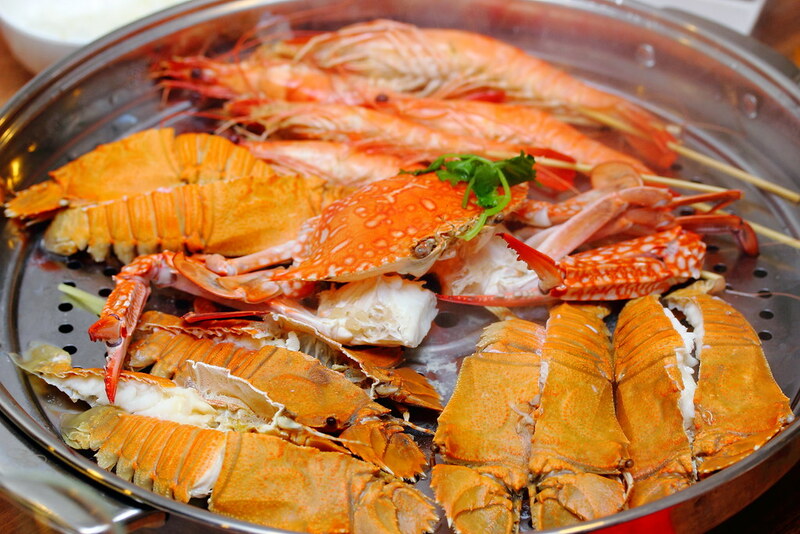 My favourite among all the seafood, the crustaceans family all gathered for a good steaming sauna. Not forgetting to have some vegetables for a balanced diet after all the seafood. 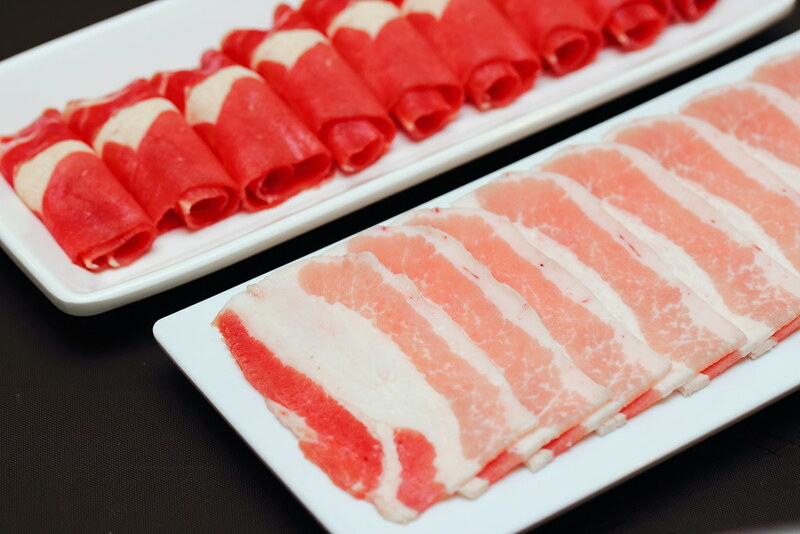 Besides the seafood and vegetable, the beef and pork selection provides a complete feast to the whole steam pot experience. 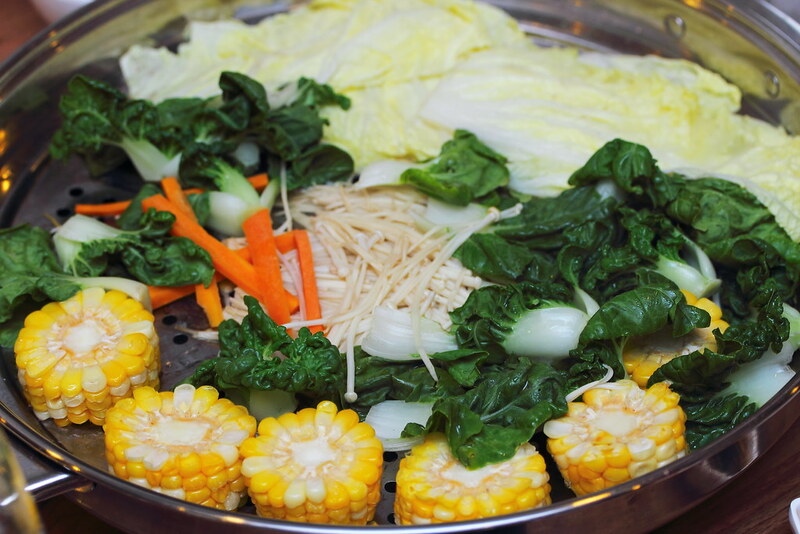 After all the seafood, vegetable and meat is cooked, the lid is removed to reveal a pot of porridge below the steam pot. 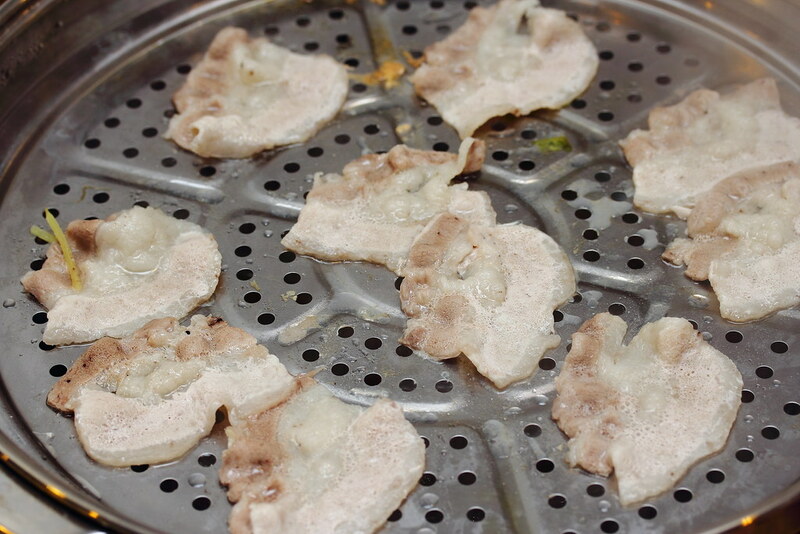 Rice grains and dried scallop were placed inside the steam pot at the very beginning before eating. There is a bit of science here. Due to the evaporation and condensation theory, water is collected at the bottom of the steam pot. 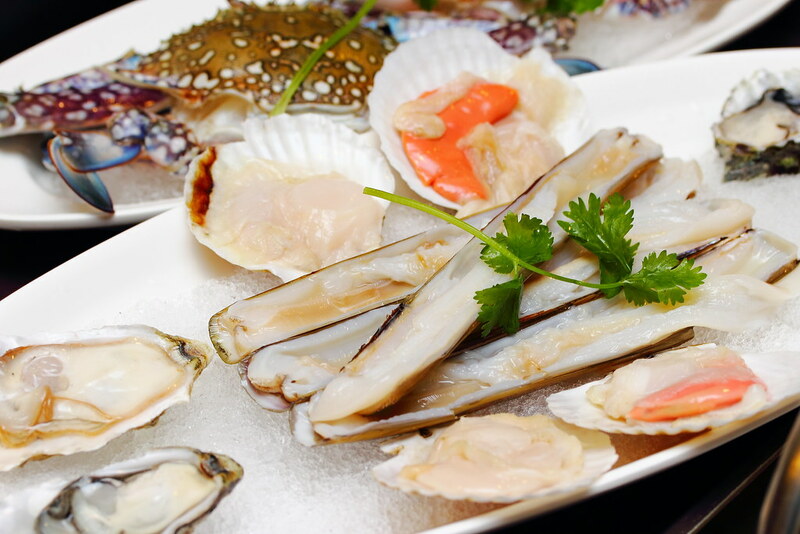 At the same time, the essence of the seafood, vegetable and meat also drip down. While we were cooking our seafood, vegetable and meat, the porridge below is also cooking at the same time. 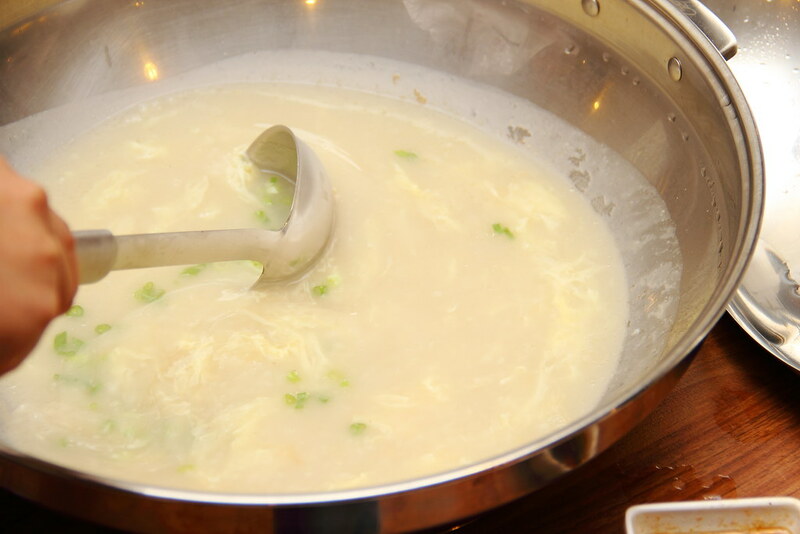 To enjoy the porridge, an egg and spring onion are added before served. 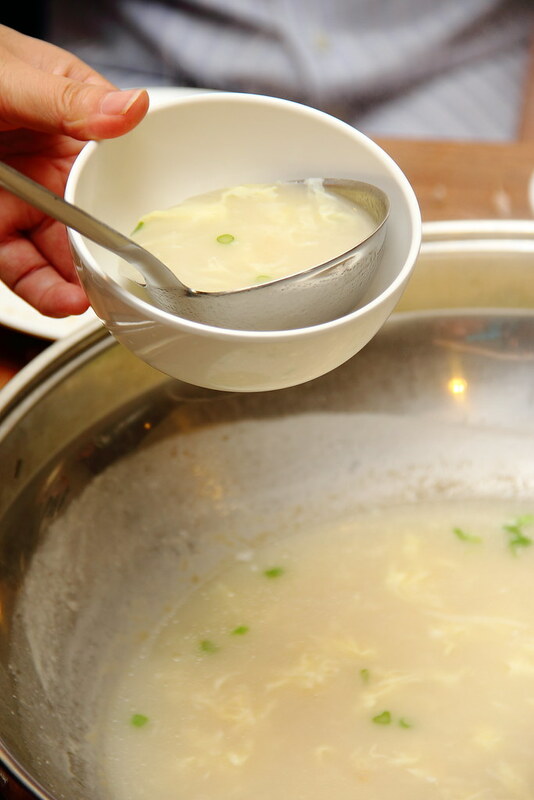 The bowl of porridge is hearty and comforting to finish off the meal. It is quite similar to the idea of having a cup of tea after a rich and heavy meal. During my visit, I observe that the staff is still a bit clumsy but I am sure it will improve along the way since it was the soft launch stage where I visited. 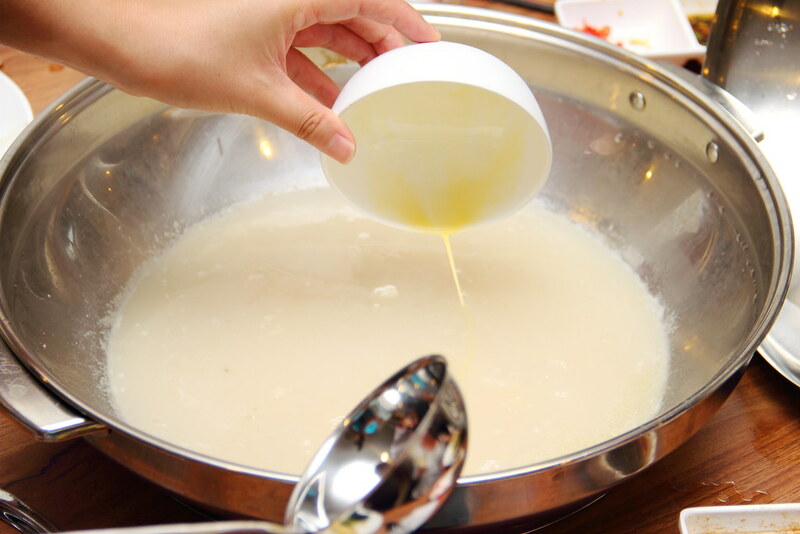 Although their dipping sauce is specially concocted for the steam pot, I felt that the restaurant needs to provide a variety of dipping sauces for the demanding Singaporean palate. Overall for the price that I am paying and the amount of seafood I get, I think it is quite worth it. 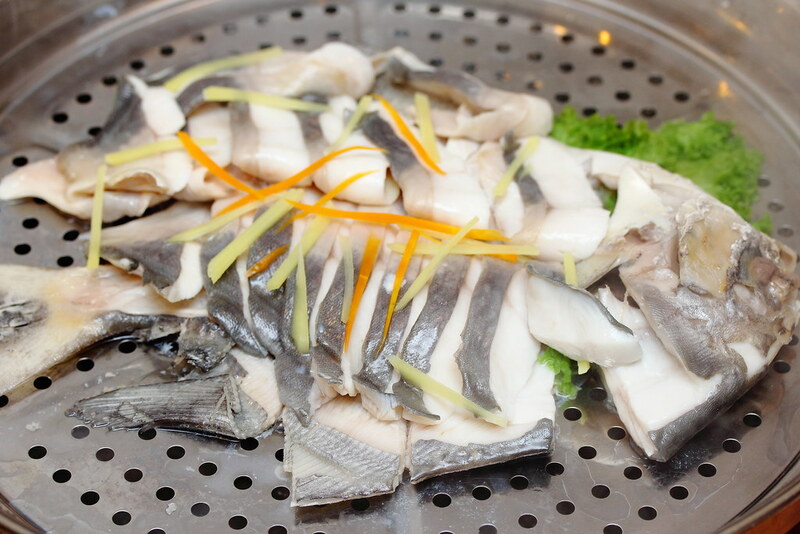 In addition, no preservative or artificial seasoning is used. Just enjoying the seafood and other ingredients in its natural flavour, and finishing off in a bowl of hearty and comforting porridge. 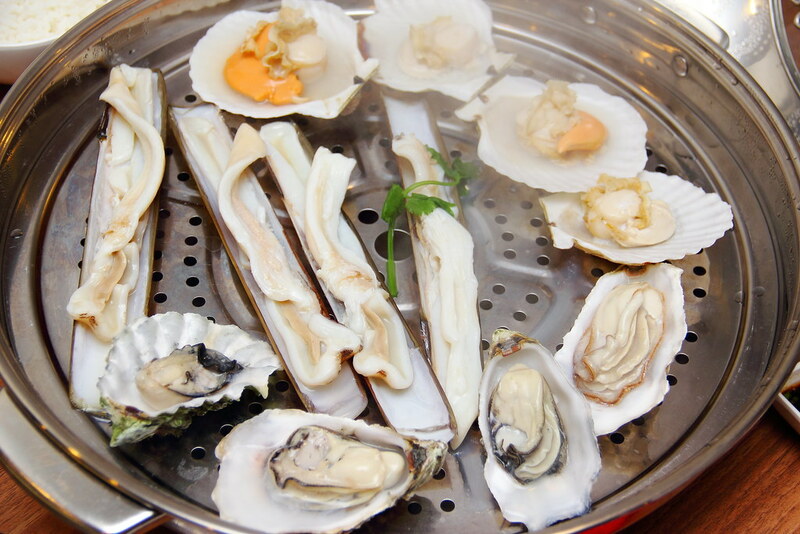 what kind of steamer you used? what brand is that? Whats the average price per pax please?